For its 50th anniversary, the TESOL International Association has recognized 50 professionals who have made significant contributions to TESOL (Teaching English to Students of Other Languages) within the past 50 years (“50 at 50”), and 30 up and coming professionals (“30 Up and Coming”) who are emerging as leaders in the field. Jodi Crandall, founding director of the language, literacy, and culture program and professor emerita of education, was selected for the “50 at 50” list. “TESOL International Association congratulates these outstanding TESOL professionals! Their leadership has helped build the association and develop English language teaching and learning into a profession that touches the lives of students and educators worldwide,” TESOL announced in a press release on its website. 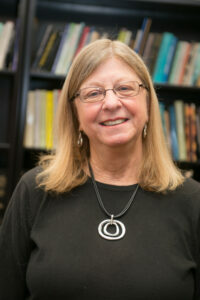 Crandall’s lengthy list of career accomplishments include: professor emerita at UMBC and former chair, Department of Education; former co-director of UMBC’s MA TESOL program; past president of TESOL, Washington, D.C. Area Teaching English to Speakers of Other Languages Association (WATESOL), and American Association for Applied Linguistics (AAAL); and member of the board of trustees and former vice president of the Center for Applied Linguistics. Last year, UMBC announced the four inaugural recipients of the Jodi Crandall Fellowship for Research in Language, Literacy & Culture. The awards are designed to promote collaborative interdisciplinary research by LLC doctoral students. Joan Shin ’08, Ph.D., language, literacy and culture, and professor of practice in the education department, was named a “30 Up and Coming” TESOL professional. Shin is an international leader in teaching English to young learners. Her work has taken her to Brazil, Turkey, Vietnam, Saudi Arabia and ten other countries to train English as a foreign language (EFL) teachers to meet the needs of elementary-aged students. She has received praise and recognition for a National Geographic Learning book series that she co-edited with Crandall designed to give learners the skills and knowledge they need to learn English and understand the world around them. Read more about Shin’s accomplishments in UMBC Magazine. Images: Joan Shin and Jodi Crandall. Photos by Marlayna Demond ’11 for UMBC.